We interviewed distinguished Italian director Lucia Senesi after the premiere of her feature documentary “Avanti” at the 2017 RIFF - Rome Independent Film Festival. 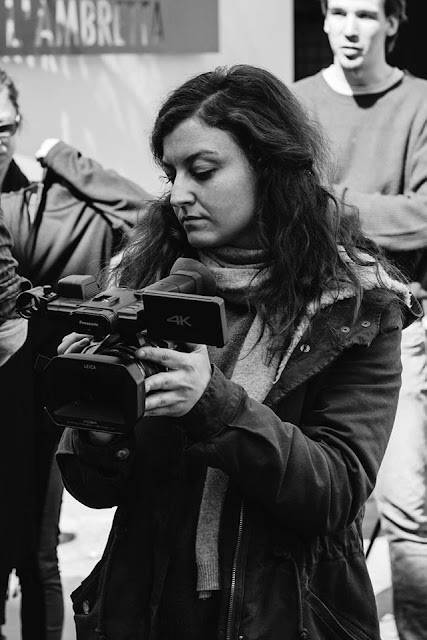 Lucia is considered to be one of the most talented European young directors and already has others following her style. Hi Lucia, it’s a pleasure to meet you here in Los Angeles. Can we talk about your film, “Avanti”? I’ve read rave reviews. Yes, the premiere was great. “Avanti” is a documentary about the crisis in Europe, a political and economical crisis that is actually the mirror of the crisis of values we’re experiencing now. Everyone seems really impressed by your directorial stylistic choices. I’m not the kind of director who says, let’s do this stylish thing, let’s impress everyone. It was all very natural. When we started shooting, I asked to my cinematographers to be in the frame as less as possible. I hate to be in front of the camera. Then, I remember one day, one of the DP’s told to me and Anna, the producer, how my character was working perfectly: a normal girl who just goes around and talks with people, doing nothing strange or heroic or exaggerated. Someone who could be everyone, and for this reason someone with whom everyone would be able to empathize with. We thought it was interesting, and so we worked on that direction. We can say you gave the style with the editing? It was a process. Elisabetta, the editor, asked me to see all the material all by herself. When we started working on it I made it very clear I didn’t want the classic storytelling. The important thing for me was the travel, the philosophical research behind it. History is complicated, you can’t create an easy version of it. The only way to be faithful to it is showing the conflict. 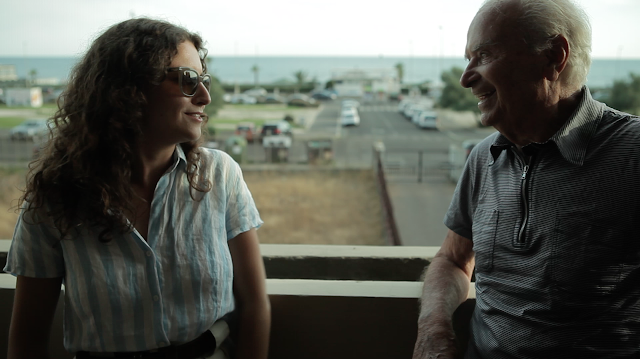 So Elisabetta proposed to mix the historical footage with our footage, trying to create a conversation between present and past. I loved the idea immediately. Some months ago, here in LA, Amos Gitai said that the principal role of a director is to confederate people of talent. I think it’s true. Was it an easy choice? I mean, when you break the classic ways, the risk is to be misunderstood? If you want to make easy choices you don't do this job. I guess the problem is, since when we were born we are used to accepting that certain things have to be into a certain way, inside a certain structure. I fight this, I don't accept the structure. I have to say that my producer always gave me a large artistic freedom. The production company, Abuelita, was founded around this project. The producer trusted me and I trusted the audience. It’s always very snobby saying that people will not understand, but if you’re authentic, people will get it. I watced your short film “Le Conoscenze Difficili” on Elysium Bandini Studios’ platform. I thought it was sophisticated and visually stunning. Thank you! The visual aspect is a very strong element of the Italian tradition. When you are young you need to get experience and break the tradition. It was a moment of my life where I was obsessed with Terrence Malick’s “The Tree Of Life” and all Gus Van Sant’s films, and with Paolo Sorrentino too. I thought I wanted to find my own idea of cinema. I think it was useful because now I’m ready: I know who I am and what I want. I’m not going to compromise.